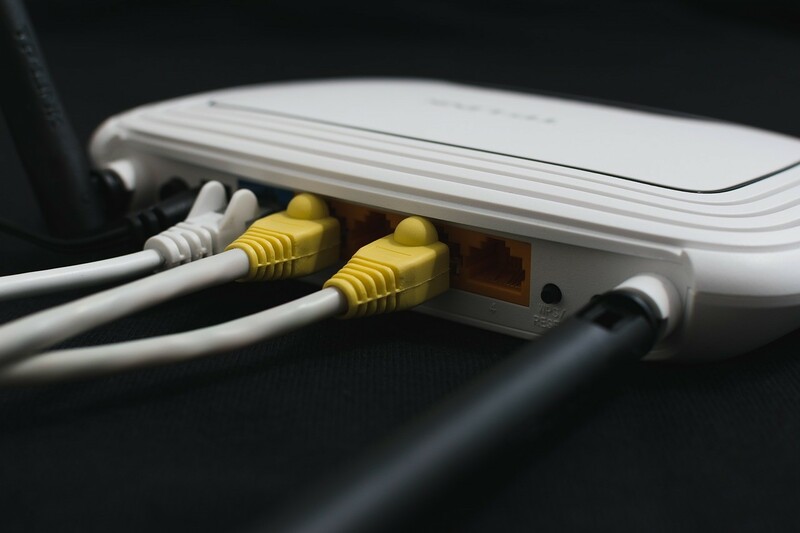 If you’re having Wi-Fi problems, either it’s slowing down or you feel that your internet service provider doesn’t give the advertised speeds, then testing your Wi-Fi speed can be a simple way to confirm these problems. And in this post, we are going to talk What, Why And How Of A Wi-Fi Speed Test? Running a wifi speed test can provide you with an accurate picture of your internet connection speed. To learn more about Wi-Fi speed tests, continue reading this article as we will be covering the what, why, and how of a speed test. What is a Wi-Fi speed test? A Wi-Fi speed test can help you figure out your internet upload and download speeds, and identify other network issues, such as physical connection problems, latency issues, or packet loss. These speed tests mostly measure three vital elements — download speed, upload speed, and ping rate — let’s discuss each one. This measures how fast can your internet download the data to your computer, download speed is measured in Mbps or megabits per second. The download speed is determined by downloading multiple pieces of data to your computer and simultaneously adjusting the number and size of connections of the test download. By doing this, it maximizes your internet connection speed and ensures that it’s working at its best. If you want to assess the results, then you must know the advertised speed of your internet connection, and compare them. For example, if you’re streaming videos on Netflix, it will require 25 Mbps for 4K ultra high definition videos and 5 Mbps for 1080p high definition videos. This measures how quickly can your internet upload data from your computer to the internet. For example, the speed of your internet when uploading videos or pictures to social media websites. However, don’t expect that your upload speed will be as fast as your download speed, as internet service providers usually give slower upload speeds. This test works just the same as download tests but in reverse. Your computer will upload multiple pieces of data, and make adjustments to ensure the full use of your internet connection. This measures your network latency — the time it took for a data packet sent from your computer to another until it received a return. High network latency causes lag — the slow response caused by a slow computer or internet connection — which you’d definitely want to avoid when playing online multiplayer games. If you’re into gaming, then you should have a ping rate of fewer than 30 milliseconds to avoid lag while you’re in-game. On the other hand, you should avoid having a 150 ms ping rate. Why do you need a Wi-Fi speed test? If you’re not testing your internet speed on a regular basis, problems could arise without you even knowing it. Although you probably won’t notice a big difference if your download speed drops from 100 Mbps to 80 Mbps when you’re watching YouTube videos or casually browsing websites, when a massive game update comes once in a while, you’d probably be asking yourself why your internet speed is slower than before. Testing your Wi-Fi speed regularly can help you confirm if there’s a problem with your network, may it be a broken router or slow internet speeds from your service provider. How of a Wi-Fi speed test? Testing your Wi-Fi speed is actually simple and easy. You’ll not need any other software, all you’ll need is a computer with a capable web browser, such as Google Chrome. Go to a reliable speed test website and run the test. However, you can also do a few things to ensure an accurate reading of your Wi-Fi speed. If you just want to determine your internet speed — then run your speed test in a place closest to your router. Particularly, in a room without physical obstacles that can block your router’s signal. If you’re trying to determine the best place for your router — then run a test in all the rooms in your house, then compare test results. By doing this, you can identify the rooms that have a weak signal. If you’re doing speed tests, always remember not to use any VPN or data- saving apps. These apps can slow down your internet connection, so turning them on while testing your Wi-Fi speeds can significantly affect your test results. The number of Wi-Fi users that are logged in at the same time can significantly affect your internet speed. During these peak hours, when everyone’s watching online videos on YouTube and Netflix you’d definitely experience slower internet speeds. However, if you’re trying to find out how slow your internet speed is during peak hours, then run a speed test during off-peak and peak hours to have a comparison. On the other hand, if you only want to determine how fast your internet speed is, then you should run a speed test during off-peak hours. In order to get the most accurate result of the speed test, you’ll need to run the test more than once. Since internet speeds can be unstable, you can get different test results with the same testing conditions. By testing your internet speed at different times of the day, continuously for at least three days, you can average the test results, and have a more definite image of your internet speed. Cybersecurity, VPN and Internet – All you need to know. Whatever your reasons are behind doing a speed test, doing it on a regular basis can surely help you in cases such as setting up a new Wi-Fi router, checking for dead spots and weak signals within your home, or making sure that your internet provider is keeping up with their advertised speeds. This is an impressive post. Thanks a lot.